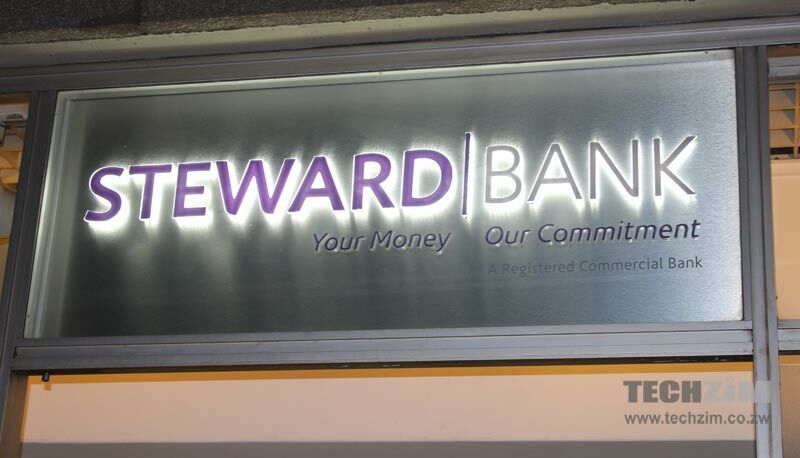 Home » Finance » Steward Bank Launches A Visa Card debit card, Globetrotter. The Globetrotter card is a Visa card by Steward Bank. The card can be obtained by both Steward bank account holders and non account holders. As expected, the card requires prefunding with USD before use. I say of course because all the other banks that are enabling international payments have adopted the prefunding option. So this despite what Mangudya says, this testifies that the money in your bank account is not in United States Dollars. The prefunding of the card is not limited to one bringing cash to a Steward Bank branch, but one can also use the money they receive from the diaspora through Money Gram, World Remit as well as from other various remittance platforms. The card is non personalised, just like their iSave account debit cards. This may not be an issue locally, but not so much internationally. For example, some South African restaurants are not too keen on accepting payments from a card which cannot be easily tied to a specific individual. Apart from that, the concept of a debit card that doesn’t require you to be an account holder is quite convenient though of course it’s not unique to Steward Bank since FBC Bank and BancABC have the same provision. Added to that, the Globetrotter Visa card is valid for 24 months after activation and can be used for making online payments, Point Of Sale (POS) transactions and for ATM withdrawals. The maximum transaction amount you can make using this card is US$10 000 per month. Of course you wanna know what the transaction fees are. Well, for a transaction between $1 to $100, you get charged 1.5% of the amount. For example if you want to buy goods for $10 then you get charged $0.15 and these rates apply both locally and internationally. So maybe it would be more ideal to even use it locally, since ZimSwitch enabled cards will charge you $0.40 for any transaction worth more than $10. But then again, that will depend on how much you’re transacting since the fees go higher with the Globetrotter Visa card as you purchase goods worth more e.g goods worth $100 will now attract a transaction fee of $1.50 on the visa card while with a ZimSwitch card, it remains at $0.40. Also to note are the ATM charges for the Globetrotter debit card. Each transaction over $3.50 (minimum) attracts 3% transaction fees of whatever amount you’re withdrawing. So for example, if you want to withdraw $30, you get charged $0.90. If you’re interested in getting the Steward Bank Visa card aka Globetrotter, visit a Steward Bank branch with your your ID card (or whatever else document you use for identification), proof of residence and $10. The promise is that you will not have to wait for more than 30 minutes to receive your card after you have completed the application process that is. And by the way, this by no means cancels the MasterCard service that Steward Bank has. They will both work internationally if prefunded with USD. The only difference in terms of acquisition is that the MasterCard can only be issued out to Steward Bank account holders. buy or sell bitcoins at furcoins.com. I just did my first transaction with them and it was great! This is NOT a “good” deal – It’s still cheaper to use the CBZ International VISA card – flat charge of $2.00 a month and also pre funded – Steward is sleeping if they think this a good deal…. God Bless Zimbabwe!! In Uganda, we use our ATMs to purchase anything online. We even have mobile money for local purchases and transactions. I wonder when Zimbabwe wil get to where we are. We are not that far behind Uganda, our Mobile Money for local use is very good, only Kenya can better ours! Our problem is currency issues, technologically we are far much better than Uganda believe me!